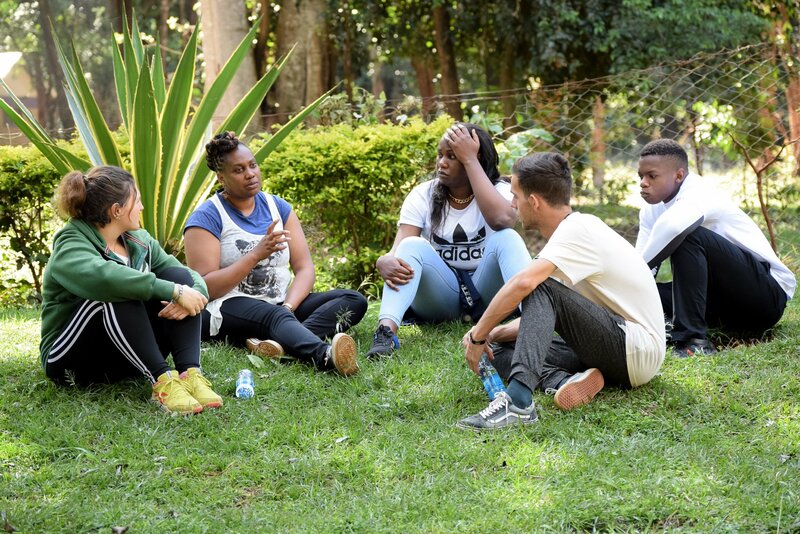 The Africa Basque Challenge (ABC) asks young people in the Basque Country and Kenya to present their best solutions to impact on the urban-rural gap. ABC provides a platform for intercultural co-creation, learning, idea development and start-up founding. The Africa Basque Challenge was created thanks to the existing relationships between Africa and the Basque Country. 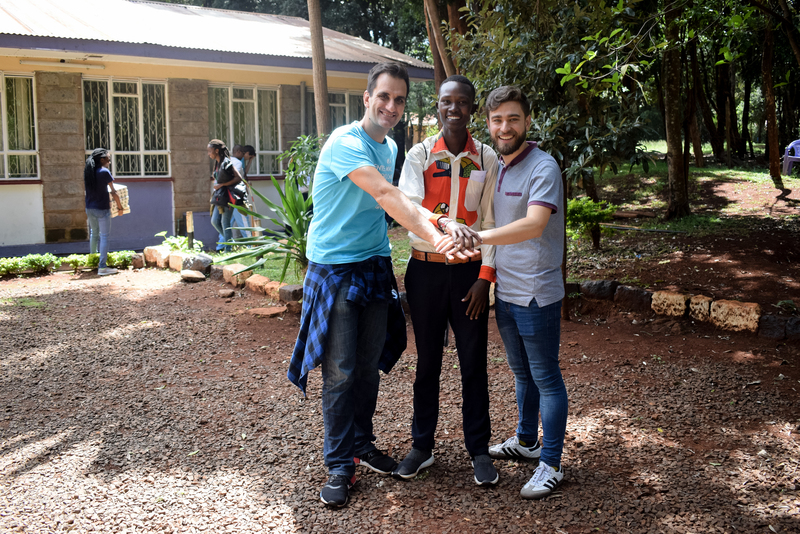 It is a partnership between foundations, academic institutions and companies from both Kenya and the Basque Country: Mondragon Team Academy – Mondragon Unibertsitatea, LKS Krean, Gobierno Vasco – Basque Government, Diputación Foral de Bizkaia, Mundukide, IBM East Africa, Add 4 Change and the Kenya Film Classification Board, UNICEF Kenya and UNICEF Somalia. DOT we were in change of the design and implementation of the working flow, methodology and toolkit. This collaboration aims to promote new socio-business realities co-created by young people who collaborate on an intercultural level. 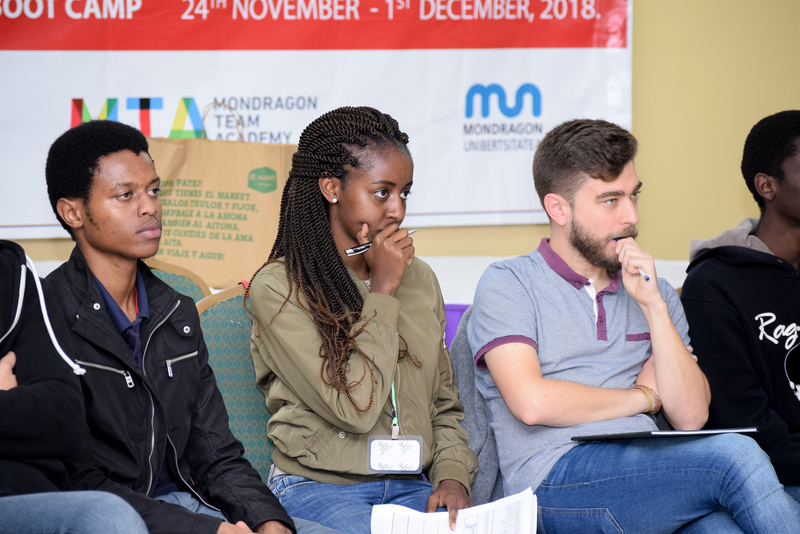 60 young people from the Basque Country, Spain (29), Democratic Republic of Congo (1), Kenya (31) and Somalia (4) were selected to join the Africa Basque Challenge bootcamp in Nairobi. Day 7: Changemaker Pitching: Building up social impact initiatives. Team 1: Africa to the world (A2W). 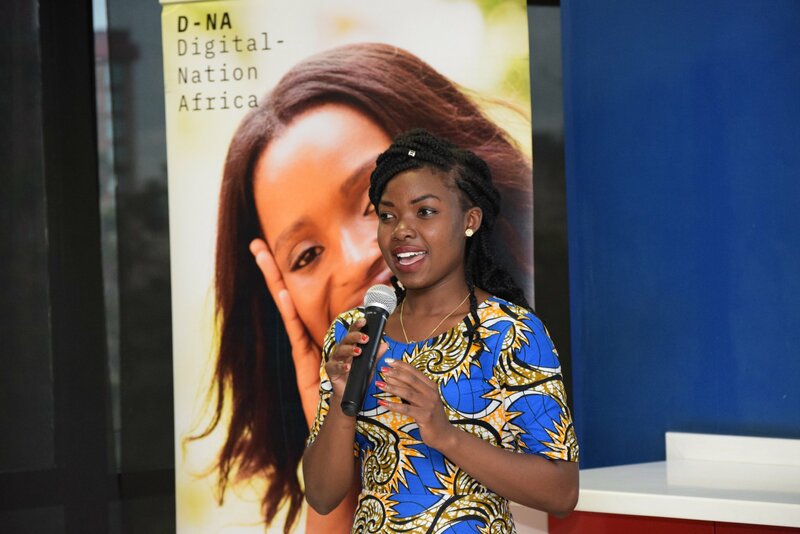 The team plans to create a company able to trace agricultural products, to connect farmers to buyers with 4.0. technology. Team 2: Africa to Manufacture (ATM). The team plans to empower rural women trough value addition on cassava production and transformation. Team 3: House of Coco (HOCO).This company plans to produce sustainable construction stones and bricks made out of coconut waste which impacts positively to the environment. Team 4: Electricycle. System of eco-motorbike, recharged by solar panels. Team 5: Softy. This is a social innovation plans to ensure that women and girls in rural areas have access to safe and re-usable sanitary pads. Team 6: “Slow Fashion” plans to promote African fashion with an international e-commerce . Team 7: Kenya Glamping: Sustainable tourism through glamourous camping. Team 8: Baru Baru Taude: Digital platform to promote tourism in areas not yet known to many tourist agencies. Team 9: Akiba Mtaani. This is company planning to provide new technological solution with block chain to the access to micro-financing. Team 10: Mobaki Ltd is concerned with the environment degradation due to the use of charcoal. The company plans to produce briquets to be used in households instead of charcoal. Team 11: Kazi Online is a platform to connect general population to skilled manual workers in carpenters, electricians, plumbers, etc. This second ACB round is a continuation of the first bootcamp that will focus on financing, business plan, marketing, start up pitching, investment planning and impact communication. There is an opportunity to pitch to investors at the end of the bootcamp in the Basque Country and a prize giving ceremony will be held where the winning team will be announced along with the respective runner-ups.